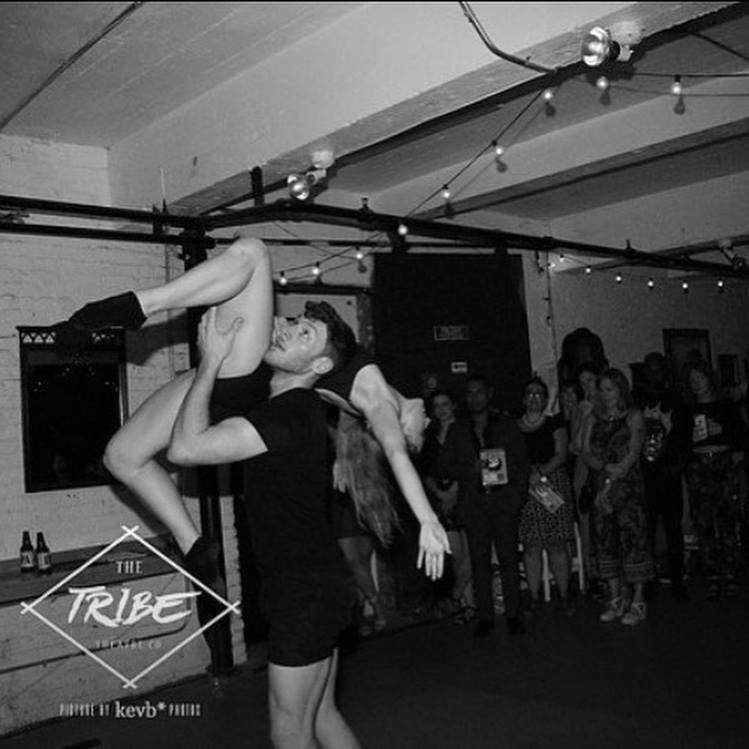 Bridget Cronin and Quinton Guthier performed Bridget Cronin’s duet, “To the Moon,” at the Tribe Theater Company’s Season Launch Party/ Gala August 2018. Photo by Kevin Bianchi. 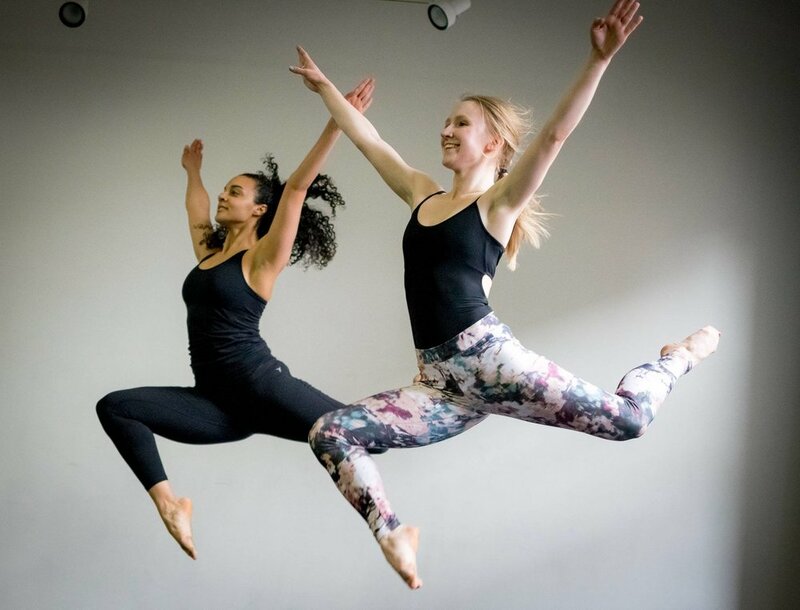 Bridget performed with Aaron McGloin Dance in the Queerly Contemporary Festival at City Center Studios hosted by Zullo Raw Movement in June 2018. Rehearsal video featuring Neema Frazier and Elizabeth Hepp. Beth Soll's "The Window: Visions and Ordinary Rituals"
Bridget performed in Beth Soll’s evening length work, “The Window: Visions and Ordinary Rituals,” in May 2018 at the Martha Graham Studios in New York, NY. “Inspired by the current interest in meditation practices and by rituals in both everyday life and more official context,” this work will be performed at The Boston Center for the Arts November 11th, 2018. 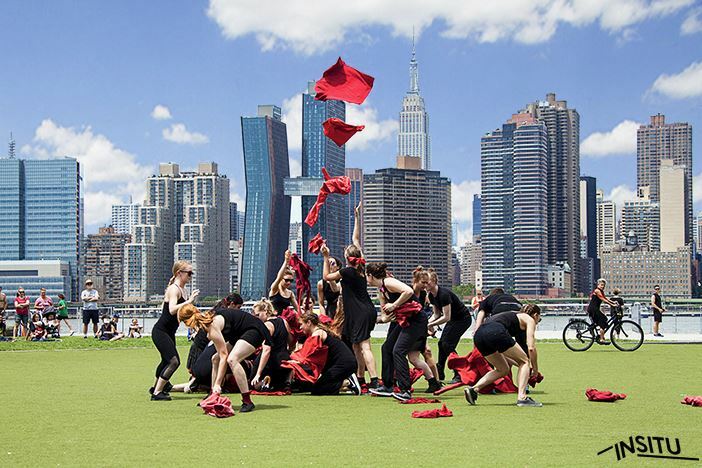 Bridget performed in JoAnna Mendl Shaw's piece Mandala at the INSITU Site-Specific Dance Festival in July 2017 at Hunters Point South Park in Long Island City. 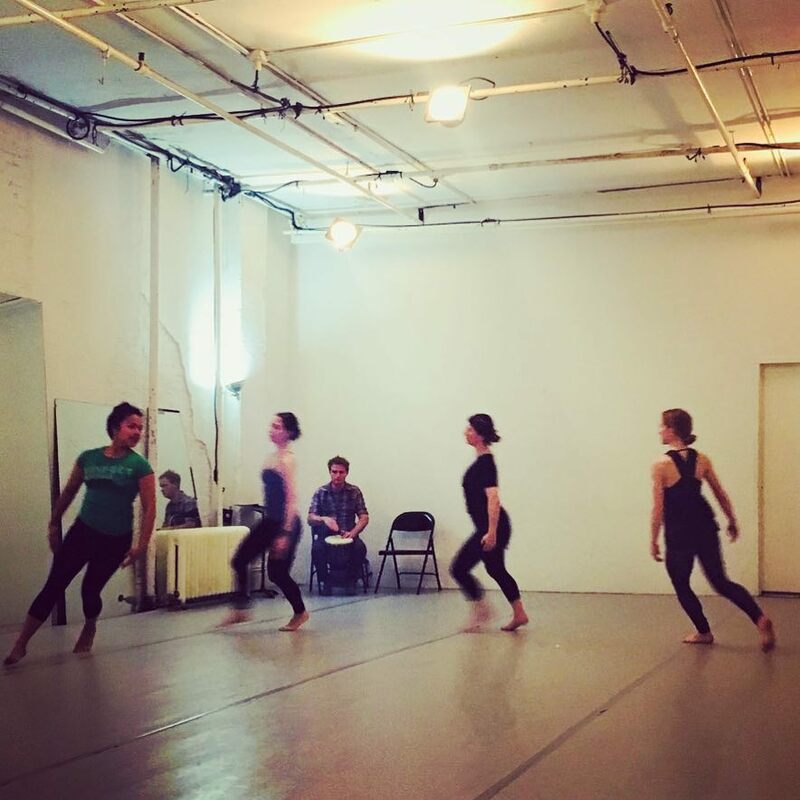 Bridget currently performs with Heath in Progress, a contact improvisation based collective founded by Annie Heath. The group returned to their alma mater, University of Massachusetts Amherst, in March 2017 to perform at the Fine Arts Center for the "MoveMeant Dance Festival." Heath in Progress participated in the Arts on Site "100 Days: A Response to Trump's First 100 Days in Office." 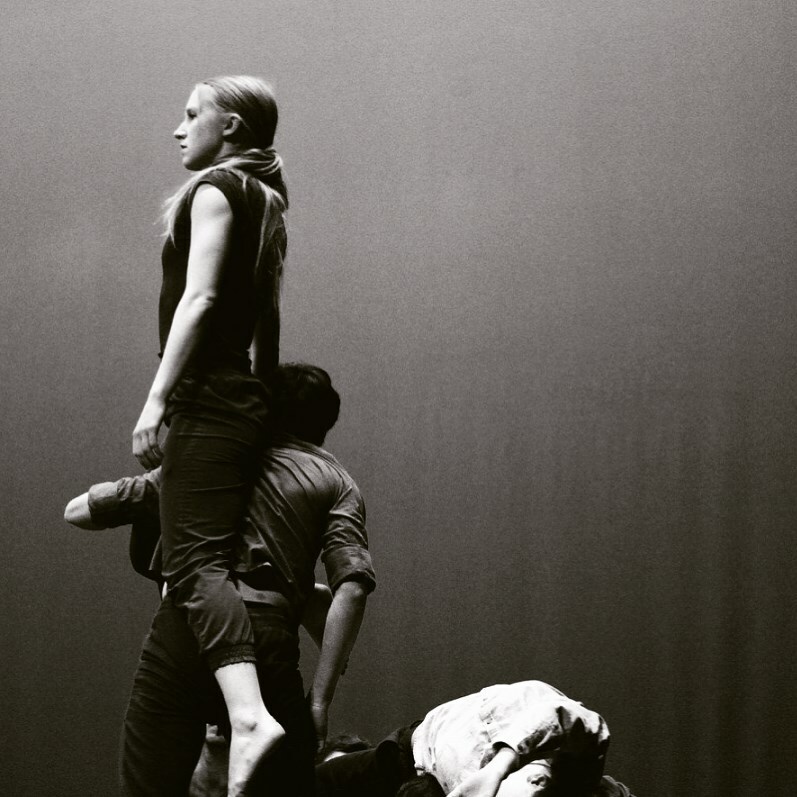 They presented the piece "The Stable Edge," an exploration of imbalanced power dynamics through simple weight-sharing and pedestrian movement. All proceeds went to Planned Parenthood and ACLU. Aimee Plauche "Winter Night Sky"
Performances with AImee Plauche Dance at Spoke the Hub Winter Night Follies and in "About an Octopus" at Green Space. Bridget performed with Ballaro Dance from 2013-2016 at Riverside Church, Gibney Dance Center, and Brockport University under artistic director, Marisa Ballaro. Gallim Dance at Frieze NYC: "Arte agricola en acción- Toronjas"
Bridget had the honor of performing with Gallim Dance in “Arte agrícola en acción–Toronjas” (Agricultural art in action–Grapefruit), originally created by Argentinian visual artist Marta Minujín in Mexico City in 1977. Andrea Miller, Gallim Dance's Artistic Director, collaborated with Minujín to reconstruct the work for the Frieze Art Fair New York City NYC 2016. Reject Dance Theater "Territory Suites"
Choreographed by Stephanie SImpson, Stephen Ursprung, and Rebecca Teicheira. Excerpts performed in Boston and Connecticut. Premiere performance at Triskelion Arts May 2014. Performed at Green Space and Riverdale Country School. 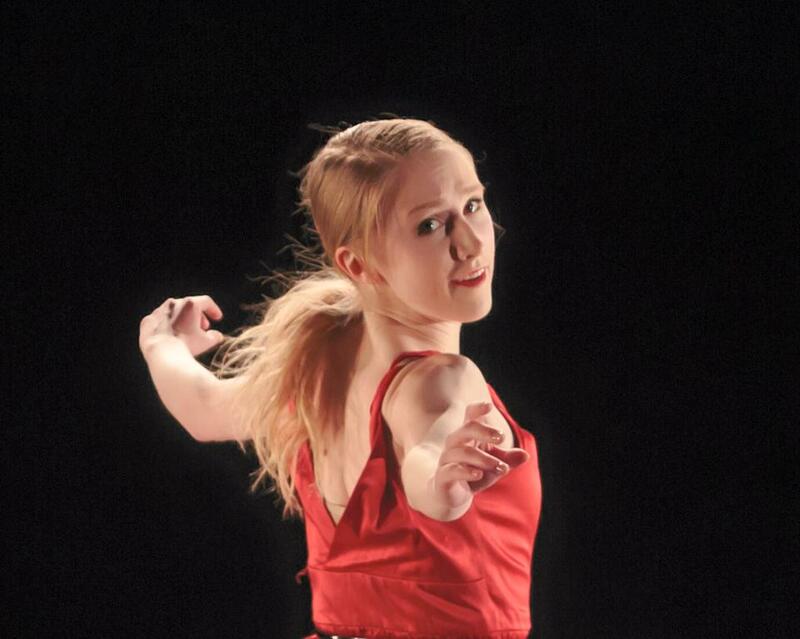 Bridget has performed with Reject Dance Theater since Fall of 2013. Mazzini Dance Collective: "The Thin Ice of Your Fragile Mind"
Choreographed by Annmaria Mazzini, alum of Paul Taylor Dance Company and director of Mazzini Dance Collective. Performed at Downtown Dance Festival Summer of 2014. Brian Seibert of New York Times reviewed "the piece had a quirky tone that made it refreshing amid this program's earnestness." Bridget Cronin choreographed and performed a solo titled "Before" at Ailey Citigroup Theater in February of 2015. Balasole Dance Inc. is directed by Roberto Villanueva. Bridget performed "Echad Mi Yodea" by Ohad Naharin as a student of the Five College Dance Department under the direction of Ariel Freedman in 2012. Bridget performed in Camille A. Brown's "New Second Line" as a student in the Five College Dance Department in 2011. Bridget performed "Minevent" by Merce Cunningham as a student of the Five College Dance Department and under the direction of Banu Ogan.